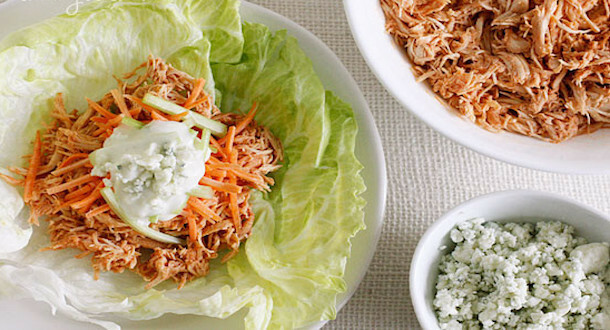 Today’s WINNING recipe to meet Coach JC’s 10 WINNING Habits is Crock-Pot Buffalo Chicken Lettuce Wraps. Where is my protein? Where are my veggies? In a slow cooker, combine chicken, onions, celery stalk, garlic and broth (enough to cover your chicken, use water if the can of broth isn’t enough). Cover and cook on high 4 hours. Remove the chicken from pot, reserve 1/2 cup broth and discard the rest. Shred the chicken with two forks, return to the slow cooker with the 1/2 cup broth and the hot sauce and set to on high for an additional 30 minutes. Makes 3 cups chicken. To prepare lettuce cups, place 1/2 cup buffalo chicken in each leaf, top with 1/4 cup shredded carrots, celery and dressing of your choice. Wrap up and start eating! 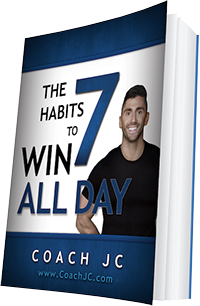 If you enjoyed this post, we would be honored if you share this goodness with some of your friends and family using one of those social media sharing buttons below…Keep WINNING!